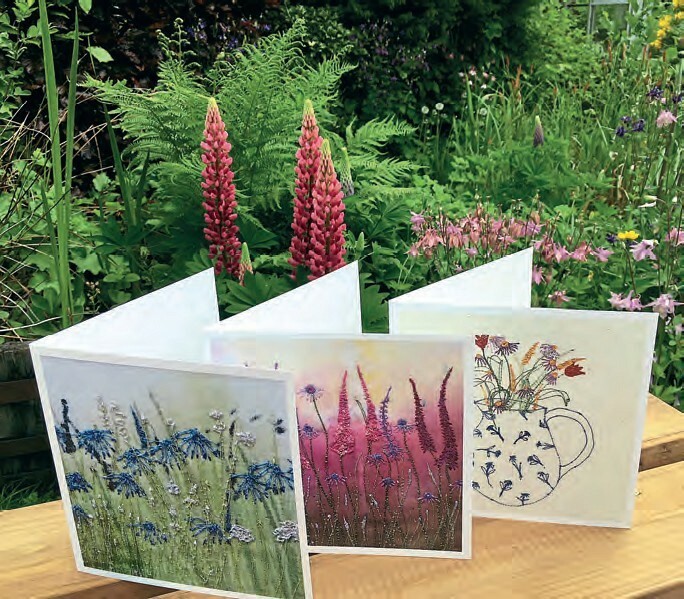 Mountain, garden, moorland and meadow are the inspiration for these machine-embroidered cards and pictures – the sewing machine is used, in effect, like a paintbrush. Cottons and silks of every colour of the rainbow are applied to fine cotton or voile fabrics which have previously been hand dyed or painted. Every picture is totally unique.